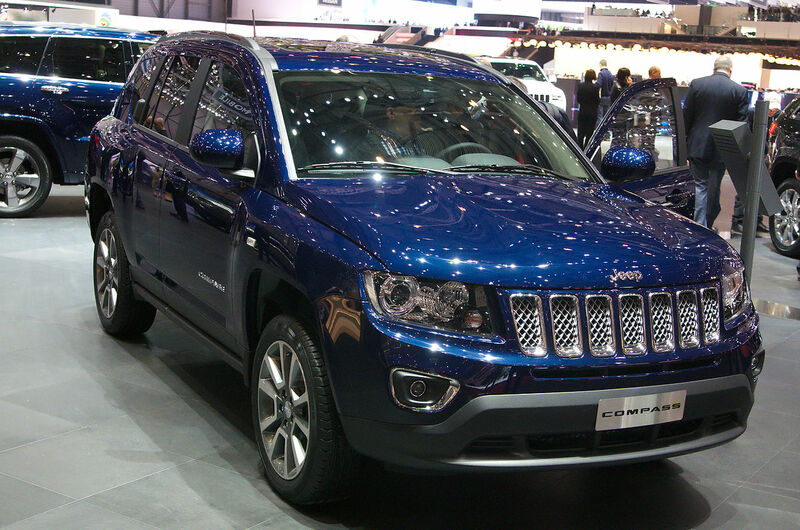 Brisbane Jeep: 2013 Jeep Compass- More Rugged than Ever! 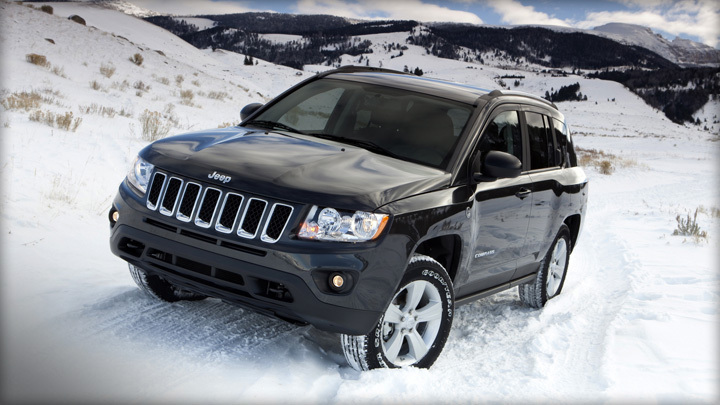 2013 Jeep Compass- More Rugged than Ever! This time, Jeep designers and engineers have given priority to introducing an affordable off-roader on the SUV market. To make it possible, Jeep has not refined the 2013 Jeep Compass much like other competitive SUVs. I mean, Why change something that works? Jeep has a good reputation in the market for producing powerful off-roaders, and with this new Compass, they have stepped forward to a new stage of exceptional fuel economy. Here, they have attached signatures and styling of few other brands to take the personality of Jeep into a new level. If you are trying to set the Jeep Compass to a serious off-roader, then it wouldn’t be the right thinking. Its narrowly defined parameters define it as the compact SUV suitable for “moderate off-road conditions”. But, you have the option to make it a very special off-roader by attaching a few other optional hardware, engine, and drivetrain. 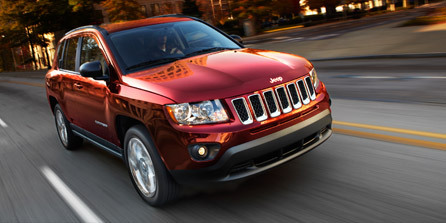 With the base lineup of 2013 Jeep Compass, it features a 2.0 liter 4-cylinder heavy duty engine that can generate 158 hp. However, you can also attach a 2.4 liter 4-cylinder engine to get 172 horsepower with some extra cost. 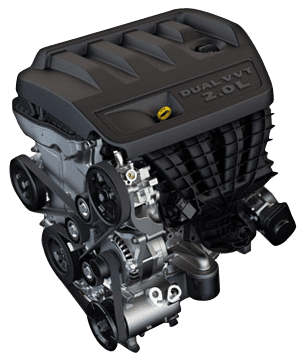 This new model is saddled with a CVT (continuously variable automatic transmission) that is the standard for this version. But, you can also add a 5-speed manual power transmission system, if you prefer this system for your track conditions. The only difference is that the CVTs respond slowly in case of an urgent power-burst requirement. Jeep has also kept two different drive options for this Compass model. They have especially designed the 2013 Jeep Compass 4WD models for muddy and snowy tracks that is convenient with Freedom Drive I system. Besides, the Freedom Drive II system increases its off-road capability and sets it up to a level that is unusual for other competitive compact SUVs like this Compass version. The standard version with 2.4 liter engine and CVT system takes 10.3 seconds to accelerate from zero to 96.56 Km/hr. Its fuel economy is also quite satisfactory than others. The estimated EPA rating marks 9.78 Km/L on city roads and 12.75 Km/L on highways. Jeep has featured its new Compass off-roader with all standard safety features including side curtain airbags, stability control with built-in rollover sensor, and traction control and so on. 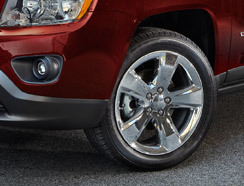 Besides, antilock brakes are the standard features for all Compass releases. Interestingly, the Latitude and Sport trim levels include rear drums and other versions uses rear discs. You are also getting side-impact airbags as optional features on front seat. This new Compass release is quite roomy than other competitive compact crossovers. 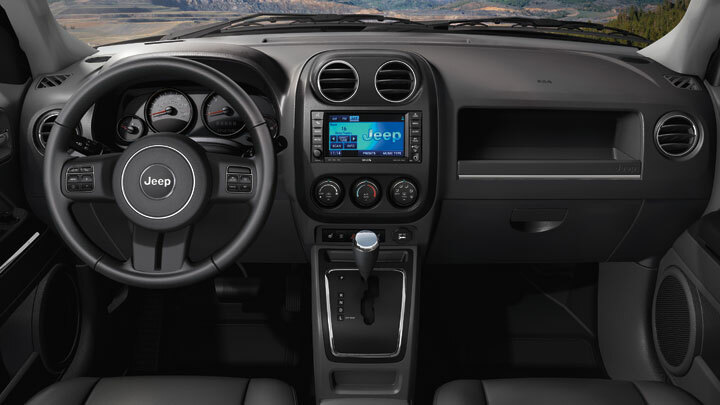 In this recent makeover, Jeep has improved the interior materials markedly to bring back comfort as well as luxury. Though, you are getting quite good legroom for the front-seats, its rear-seat space is a bit less than the front side.